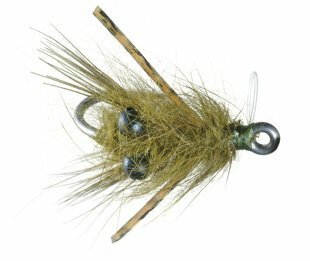 Surf flies are a relatively new category to our Fly Recipe Library, although fly anglers have been pounding the West Coast surf for some time. With an abundance of numerous and different fish species to target and visually spectacular backdrop to fish in the growth of this category is understandable. With the turbulence created by the crashing waves and subsequent churned up bottom sand, Surf flies are often brightly colored with fluorescent fire orange being a common color choice. Small crabs are often the prey species imitated in surf patterns with the Pacific Mole Crab being the most common creature represented. Pictured here is a good example of a surf crab pattern called the San Pedro Crab created by Tommy Austin. Sand lances and small shrimp are also imitated however crab patterns are by far the most abundant.